Last Squirt Inc. creates and private labels innovative consumer products. Last Squirt Inc. creates innovative consumer products for wholesale distribution. Our unique tube extenders save waste while helping consumers get the last of their favorite products. We also private label wholesale supplement products. Last Squirt is a patented adapter that extends the tubing of your favorite household and commercial products. Last Squirt patented tube extender adjusts to fit most standard pump and spray bottles including lotion, shampoo, body wash, conditioner, face wash as well as cleaning products such as window cleaner, all purpose cleaner, and any other bottle with a tube pump or spray. Our Last Squirt Sample Pack contains three sizes of our patented tube extenders. "My body wash stopped working with almost a quarter left inside. I remembered I had a pack of Last Squirt extenders. It was easy to attach and after a few pumps it really worked!" "Last Squirt is really easy to use. I put it on my hand soap foam pumps and it gets every last bit out. Then I just refill the bottle with more soap. That's a lot less bottles to recycle or throw away." "It's frustrating when I can't get all the soap or hand lotion out of the bottle. Lately I've just thrown the bottles away. I attached Last Squirt and the soap lasted another three weeks." 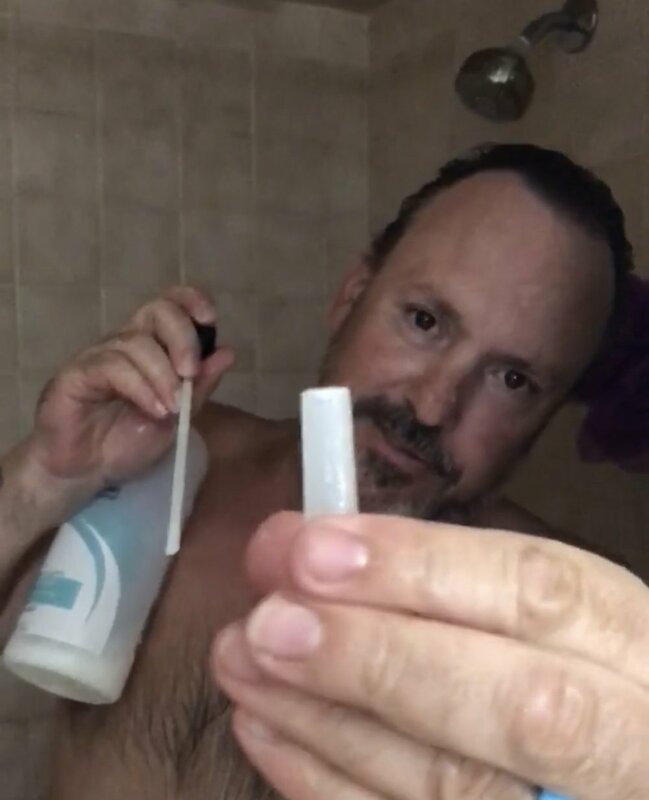 Last Squirt tube extenders neatly and easily fit onto your existing soap, body wash, shampoo, and other health and beauty products to get the remaining product out without changing the existing bottle design. Simply remove the pump, find the Last Squirt extender that matches your tube, push the tube into the small end of the Last Squirt extender, return to the bottle, and get the Last Squirt! Proudly made in Texas from proprietary recyclable materials, Last Squirt is the cost effective solution to reducing health and beauty packaging waste. Our products can be ordered online and found in select locations . Contact us to find out which stores carry Last Squirt!